At Japan Expo 2017, Studio Gainax announced the production of three movies taking place in Matsumoto Leiji’s universe. On this occasion, we met with Gainax producer Yasuhiro Takeda. Takeda is known as one of Studio Gainax’s founding members and legendary Otaku personality. In the 80’s he produced and played in a Tokusatsu parody show, Kaiketsu Notenki. He went on to produce many Gainax projects as well as writing the Notenki Memoirs, a book about the creation of Studio Gainax and the establishment of Otaku culture. In this interview, he told us about the current state of Studio Gainax, their ongoing projects and his will to write another book about the Anime industry. First of all, can you share your thoughts about Aoi Honoo (Blue Blazes)? Y. Takeda: I found it very amusing. I have trouble remembering what I used to do when I was younger. It all depends on how I was perceived by the other artists. I worked in a pleasant environment. I used to work feeling entirely absorbed by what I was doing so I didn’t notice, it is once I saw other people’s reaction that I realized I was doing something very entertaining. I was able to meet a lot of people through my work. More than 30 years have passed since the beginning of my career, and I realize those encounters have been significant. I realized how essential they were through this manga. Usually, someone’s youth doesn’t become a manga or a movie. To some extent I found it very entertaining, I was even affected by it. Back then I wasn’t as fat. I didn’t have this look. But the behavior is similar. Shimamoto asked me about what I was doing at that time, how I reacted to this or that, we talked a lot about it on the phone, so there aren’t many mistakes. Apparently, it took a form specific to a manga, but on the same page as to how it actually happened. When I went on the shooting, there was the sound director who thanked me. I asked him why to what he answered: “I used to watch Notenki.” That surprised me. How did you go from working for Gainax General Products to producing anime? Y. Takeda: At first, I was only a professional, I was selling figures. As time went by I was mainly in charge of financial management and contracts. I became an anime producer starting with… Which one was it? I guess it was Mahoromatic, but I might have started before. I sure did have a lot of friends in the anime industry, so when I joined Mahoromatic Yamaga told me to keep working as I did while working on Abenobashi Mahou Shoutengai. I officially started on Top Wo Nerae 2 Diebuster. Before that, at Gainax, we worked in other small structures but starting from that anime we decided we needed to make a larger studio Gainax. That’s when it got serious for Gainax. A lot of stuff happened, and then there was Gurren Lagan. Gurren Lagan was my first opportunity. I talked to people, and I was asked if it was possible to do a show with robots. From there on it took 5 years of talking and meetings to get to Gurren Lagan finally. It was my first significant project. I had obviously worked on a lot of other stuff before, but it’s really from that point on that I became an anime producer, I was in charge of contracts, I was responsible for Gainax worldwide, I kinda became a handyman. Y. Takeda: Now I took my distances from Gainax to build Gainax Kyoto. It’s a Gainax studio in Kyoto, well actually more a Gainax Kansai including Kyoto, Osaka, Kobe and so on. The purpose is to do anime. There are a lot of different Gainax. Y. Takeda: Indeed. Aside from Tokyo Gainax, there is Fukushima Gainax, Yonago Gainax in Tottori and finally Gainax Kyoto. There is also Gainax West, which is actually Gainax Kobe, but there aren’t any offices it is part of Gainax Kyoto. There is also Gainax Niigata in the works. There is also Gainax Studios, which corresponds to Fukushima Gainax’s offices in Tokyo to prepare animations. These are the main studios, those of Gainax Studios. And regarding Gainax Kyoto, we are looking for animators. Gainax Kyoto has seen the daylight only last November, so there’s still a lot left to be done. How many animators are there? Y. Takeda: None for now in Kyoto. Regarding those in Tokyo… How many can there be? Maybe 15? We work with the bare minimum. But we are considering raising that number for Kyoto. I think there will be about twenty. That said, I still don’t know if we’ll do it in Kyoto or in Kansai. As you know, eighty to ninety percent of the animation studios are based in Tokyo or in the Kanto region. Tokyo is the nerve center. But times have changed. The animation work is still done by hand, but coloring, editing, backgrounds, and all that stuff is now done digitally. As it’s done with a computer, it can be done anywhere. Even if animators work with a pencil, we can now scan, digitalize the drawings and it can be done in Tokyo, Hokkaido, Kyu-Shu or even France or Brazil. Considering that, Kyoto is quite far but still accessible with the Shinkansen. We can give a quick phone call or even have meetings through Skype. There’s also a lot of specialized animation schools in the region. There are young people craving to do anime but who had to move to Tokyo to do so. It’s also the case in Kyu-Shu, there are schools, but the students can’t quickly go to Tokyo. But they may access Osaka or Kyoto, the Kansai region, with more ease. That’s what we rely on to have people work with us. The good thing about Tokyo is that you have the TV broadcasters, film producers like TOHO, Toei, Shouchiku as well as editors like Kadokawa, Shueisha and so on. There are a lot of them. But in Kansai you have none. There are TV broadcasters in Osaka though. If you look at Kansai as a whole, you have a lot of companies. They have the second highest number of them following Tokyo. After all, there is Nintendo in Kyoto. There’s still a lot of stuff. It’s possible to do things in Kansai, we don’t even have to restrict ourselves to Japan, we can develop international projects. Tokyo isn’t necessary anymore. Right now Gainax is in talks for different projects, coming from the USA and Saudi Arabia. We want to develop these projects in a group mindset with all our branches. I am myself from Kansai, it motivates me to produce all of this. My house is in Kyoto, so it’s perfect for me. I’ve also been teaching in a Computer School in Kyoto for the last five or six years. That’s why on Gainax’s booth you can read KCG “Kyoto Computer Gakuin” next to Gainax. I told the school’s president I wanted to create a studio but didn’t have any money nor a place to do it yet and that we would like to rent the school’s free rooms, which he accepted. So we’ve been using this school’s offices as our studio. There are also specialized schools in France. Would you want to open a studio in France with French animators? Y. Takeda: Sincerely, it doesn’t matter if it’s China, Korea or France, if there are animators it’s always interesting. But regarding anime, budgets are too short as of lately, and we do our best to raise them. Right now it’s not enough to make a living off in Japan, in France it wouldn’t be possible. There needs to be a guarantee to ensure you’ll be paid. For example… Yesterday Yasuhiro Irie came to the booth, he gave NHK an interview about the real difficulties in the anime industry. Since I know Irie we talked together, and we agreed on the need to do our best to raise salaries. Achieving it would be great. Even if we produce in Japan, it would be great to acquire funding from France, Europa or even the United States, that would allow us to raise salaries for animators. We need to to make efforts, if we’re able to do it, we could do anime even in France or Italy. In France, you have studios for sound recording, you have voice actors. There is a lot of room to work with. Thanks to the Internet there are no constraints. There’s an awesome thing about Kyoto. When you ask animators from Tokyo to come work in Kobe or Osaka, they think it’s too far. But they all want to go to Kyoto! It’s a touristic city, so it’s desirable. It’s the same about France. If you tell them about China and Korea, they’ll be hesitating. But if you ask them to go work in Paris, they’ll agree blindly. Since it’s a famous city, it’s easier. In France, it is possible to receive public funding to create works. Y. Takeda: Yes, I’ve heard about it. That is something I would be interested in. What can you tell us about Fukushima Gainax and the museum there? Y. Takeda: I am Fukushima Gainax’s general president, and there is a museum in Fukushima Sakura Yugakusha, of which I am also the president. Most people don’t know how animes are made. Well, they know that they need drawings, that they are a succession of images, but there’s more to it. You have backgrounds, colors, sound, directing, and so on. It’s all part of the job, but most people only know about the basis, the drawings and voice acting. Making an anime needs the work to be divided. By presenting the process with which anime is made I think people who want to do anime but don’t know how to draw will realize there are other places in the production chain where they can find a job. That’s why I move a lot between Tokyo and Osaka to find another place where to do another animation museum. Y. Takeda: I still don’t know. I’m looking around Kyoto and Osaka. Y. Takeda: Near Mie seems too hard. In Kyoto, there are many museums. There’s the Manga Museum, Toei’s Uzumasa studio, I think it would be an excellent place also to have a museum about animation. I was talking with Kyoto’s mayor, and he’s agreed to it, but there’s still the problem of the needed investment. It shouldn’t be too expensive. I met with the Governor recently, and he seemed confident, I’d like to meet with him again to talk more about it. You’ve talked about three movies by Yamaga. Queen Emeraldas is the first one? I was quite surprised. Y. Takeda: Yes, I was surprised too. 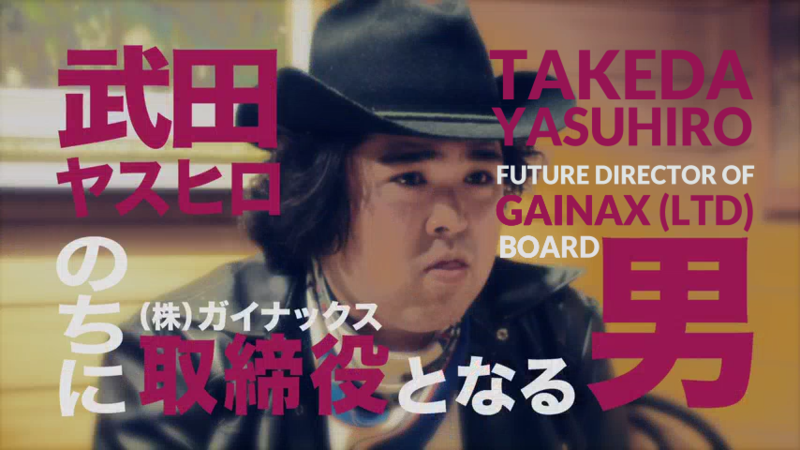 Y. Takeda: The project isn’t actually a Gainax production. The primary producer is Production Goodbook. We have a good relation to them. Production Goodbook is too young of a studio so they asked us if we could work with them on it. We accepted to assist them. The primary producer is still Production Goodbook, and we participate as a help. Has it been decided long ago? Y. Takeda: I learned about it early this year. At first, it was going to be done by another director, but a problem rose up, and he had to decline. I talked about it to Yamaga, and he said he would take charge of it. We thought about the character design, and we thought “Why not ask Sadamoto?” When we asked him, he said he wanted to draw Matsumoto Leiji’s characters. This is how it happened. Who was supposed to direct it? Y. Takeda: I am sorry, I can’t tell you. Who was it to introduce Production Goodbook to Gainax? Y. Takeda: It’s Fukushima Gainax’s president, Mr. Asao. He’s very active and works on several tasks. He studied in the USA, he talks fluently English. That’s why he isn’t limited to Japan. Can we talk about Aoki Uru? Y. Takeda: Concerning Aoki Uru, Yamaga is currently working on the script. Sadamoto is also working on it, but the budget for it is quite huge, even though it is small compared to a Hollywood production. In Japan, a budget for an animated feature film usually is around 500 million and 800 million Yen. Obviously, it’s different for Ghibli which can have a budget between 2 billion and 3 billion Yen. For Aoki Uru, we want a 5 billion yen budget. It’s quite unbelievable, and I don’t know if we’ll attain it, but we want to have a worldwide release. We want a great story and good Character Design, but a good story comes first. We are working hard on the story and Character Design. We don’t know if we’ll be able to get the necessary budget, and how we will need to adapt if we get less. Our goal is to have a 5 billion yen budget. The story will be about a plane race, right? Y. Takeda: No, that’s not it. I don’t know in detail what Yamaga is thinking, but he first wrote a novel named Aoki Uru. I would be surprised if you have read it, but there are fight scenes, plane races, and many other short stories. It’s fascinating. It’d be great if it could be edited. The movie will be different from what he wrote, won’t it? It’s been a while. Y. Takeda: Indeed, it was written twenty years ago. What can you tell us about Akubi Wo Suru Ni Wa Wake Ga Aru? Y. Takeda: We are still working on Akubi, and we already have spent money on it. Since Gainax does not have a lot of money, we had to work on other projects in the meantime and pause the production on Akubi. But we’ll do it. I personally want to see this project succeed, I really want to do it. Do you know what it is about? Yes, we attended Gainax’s panel at Connichi, it’s about Free Diving, isn’t it? Y. Takeda: That’s right, it’s about Free Diving. Because of global warming Earth’s water levels rose by 30 meters. Londons is under water, so is New York, Tokyo, Shangai. Paris is fine. But the Seine is much larger. Cities like Paris, Berlin, Moscow are safe. Pekin too but a sea has formed in front of the town. Regarding this free diving story, well you can practice anywhere there’s water, so it becomes an international competition. That’s what I think is fascinating about it, most of all this idea of meeting a lot of different people. What genre will the show be? Y. Takeda: Science Fiction. It’s Science Fiction with some Sports competition and also friendship. There’s a lot of different genres mold together. But in the end, it will be about the depths of the sea and reaching space. It’s a story linking the sea and space. Next, we would like to know more about Top Wo Nerae 3. Yamaga told us about it. Y. Takeda: Don’t talk about it!!! He talks way too much. It will be done shortly, but not right now. Yamaga is writing the script at the moment. Can you tell us more about the Zero Century project about the Matsumoto Leiji characters? Will it be three feature films? Y. Takeda: Yes exactly. The first one is named Emeraldas… Well, let’s rather say it focuses on Emeraldas, but Maetel, who is her sister, and Harlock appear too. So it will be three movies each one focusing on an iconic character from Matsumoto Leiji’s universe Emeraldas, Maetel, and Harlock. Matsumoto Leiji himself being old he thinks it will be the last anime about his work he will get to see. His will is to have these movies to serve as a testament of his universe. He has written the foundation to the story himself, and we are writing the script keeping that in mind. Each movie is named after one of the main characters, but all characters appear in each film. Naturally, other characters are present too, such as Tochiro. Will the movie be in CGI? Y. Takeda: We are still thinking about it. It will all depend on the budget. The mechas will probably be CGI. We’ll probably do a combination of 2D and 3D, but the characters won’t be in 3D, I don’t think so. I like traditional animation better. How far in the production are you? Y. Takeda: We are writing the script and are working on the Character Design at the same time. Y. Takeda: We’re still looking. We are also looking for sponsors in France and Europe, but just as I said yesterday, I don’t think we’ll be able to get a lot of funding in France. However, in France and Italy Matsumoto Leiji’s characters are quite popular, that motivates us to do these films. We are not looking for a lot of money, but having some promotion means already a lot to us. We are looking for sponsors in Japan, China as well as in Europe. We’ll probably also go to the USA and the Middle East. Actually, the budget isn’t that high, but when we take into consideration the production costs as well as advertising, at an international level, that makes 600 million yen. If we compare that to the costs of a Hollywood animated production that’s more a less a twentieth. We’re doing everything we can to gather the necessary budget. Y. Takeda: Obviously. Sadly I can’t give any details at the moment. What I said earlier about going to the US or the Middle East, or about other TV series being in the works, that’s all linked to these projects. As I said, Fukushima Gainax’s Asao is giving his all. Aside from those shows, you asked me about there are two or three more shows on which we are working. I hope we can make an announcement before the end of the year? In Summer Wars’ credits, your name appears a Special Thank, how come? Y. Takeda: That’s Sadamoto, isn’t it? That’s because there was a cooperation between Sadamoto, me and the production company. Everytime Sadamoto… On what occasion was it? Was it on Summer Wars? There was Summer Wars and Wolf Children. The second or the third time Sadamoto said he didn’t want to participate anymore. But he did on Summer Wars. First, there was The girl who lept through time, then Summer Wars and Wolf children, right? He did not do The Boy and the Beast. He said he wanted to do only three of them from the start. Hosoda wanted him to work on The Boy and the Beast, but Sadamoto declined. 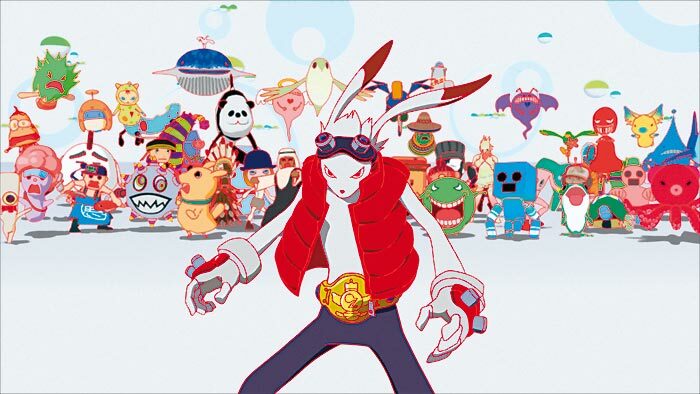 On Summer Wars there were a lot of characters which represented a lot of work for Sadamoto. He kept telling me there were too many and that it was too hard. Do you still meet Toshio Okada? Y. Takeda: No, not at all. We don’t have occasions to meet anymore, our jobs are entirely different. Two weeks ago I attended a party by the president of Kayodo, Mr. Miyawaki who is the same age as me, 60. There I saw him, but I didn’t talk to him. We don’t have any topics to talk about anyway. We’re not in bad terms or anything, we just took different paths. Do you still participate in SF fan circles and the SF Taikai? Y. Takeda: This year it will take place in August in the Shizuoka prefecture. People are asking me if I will go are not, but I don’t know yet. Lately, I haven’t done anything SF related. I read some, but unfortunately, I don’t think Japanese science fiction is interesting nowadays. I prefer American Science Fiction, so I read a lot of American Science Fiction translated into Japanese. However regarding animation, I prefer Science Fiction in anime, it’s always more exciting. Lately, there has been KADO: The Right Answer which I found the idea to be interesting. There was also ID Zero which I found to be pretty good. They made a novel out of it, and it’s my wife who wrote it. She asked me a lot of questions, so I helped her out. I’m reading it currently, and she did a great job. This kind of SF anime has a science fiction mind, but what about recent Japanese Science Fiction? In my humble opinion, it’s not in great shape. Japanese Science Fiction fans are getting old and only talk about old stories. Myself I don’t like to spend too much time on old stuff, I’m not the kind of person who says: “Science Fiction used to be much better” It’s more important to talk about what exciting things are done now. Regarding Japanese Science Fiction it seems like what’s most interesting is made in Light Novels. That’s true for both Science Fiction and Fantasy. I went to the SF Taikai last year there were only old people. Y. Takeda: Yes exactly, only grandpas and grandmas. Y. Takeda: Well if they’re ready to listen, that’s good enough already. Regarding myself, I’m looking forward. My priority is to find what’s interesting to be done. Do you watch TV shows like The Expanse? Y. Takeda: The Expanse what is it? It’s an American show. By a friend of George Martin. Y. Takeda: Really? I don’t know it. Regarding American shows, I’m watching The Man in the High Castle from time to time. But it’s quite old in term of scenario. What else did you watch lately? Y. Takeda: Well, lately I’ve also watched Timeless, but it stopped being interesting. What else… Well, there’s gonna be the new Star Trek series. It hasn’t begun airing yet, but I hope it will be good. I love Star Trek. In Japan, there isn’t much. Only fantasy light novels… I don’t read many. 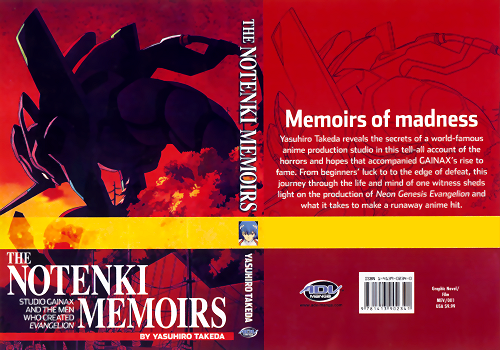 Are you planning on writing another book, similar to The Notenki Memoirs? Y. Takeda: I’m currently writing a book. But as I said I’ve been a teacher in this Computer school for about five or six years, I also work as an anime producer, I do things my way. But I’ve noticed that if you want to become an animator, there’s little information about it. Most animators work on low salaries or moonlighting. Do you know what the average wage for a voice actor is? Nobody knows. What about how much budget is spent on music? Or to do the backgrounds? Nobody knows that. People just know animators work for small salaries. So we don’t know anything about animation, or nearly anything. If a voice actor participates in an event, how much budget is spent on that? Nobody knows. That’s all part of Animation, of the production. I wanted to write a book where I explain all of it, containing information as well as data to describe the current situation. I am in relation with an editor, and I would like the book to come out this year, but I’m quite busy. I’m gonna talk about stuff people don’t dare to talk about. Will you also publish it in English? Y. Takeda: Yes, I’d like to if possible. 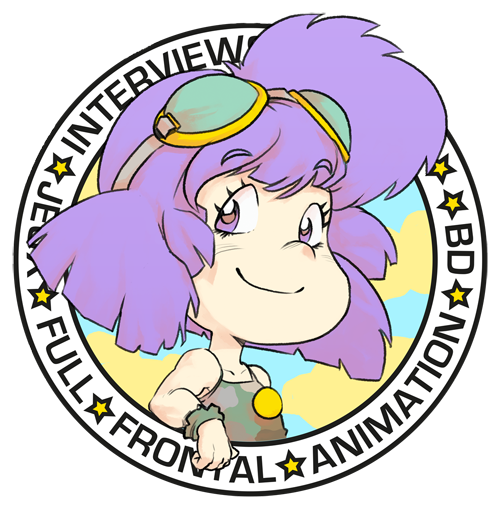 This interview was done with the help of Ludovic Joyet and AnimeLand writer Bruno De La Cruz.